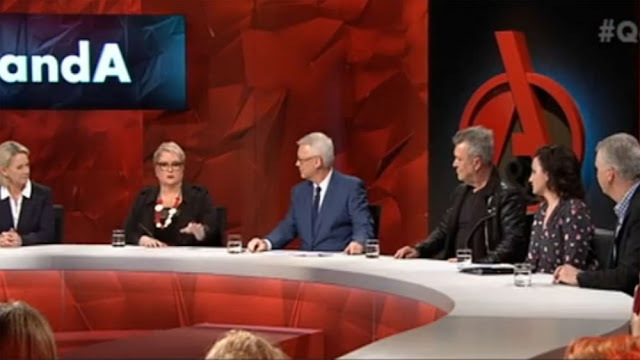 On the ABC's Q & A last night, Magda Szubanski spoke her mind, and rightfully so. Drawing on her own experiences, Magda spoke about feeling suicidal when she was 11 and 12, when she thought being a lesbian would mean she’d have an “absolutely terrible life”. “The difference between LGBTQI people and any other minority is that in every other minority group the family shares the minority status,” she said. She added that she deemed humiliating and denigrating that gay couples could not marry. “It means you are not considered to be a fully human person,” she said. But it was an exchange with Fiona Nash that got her really fired up. Fiona was defending the government’s decision to back a plebiscite when Magda appealed to her to think of it from a more personal perspective. Heartbreaking, really. If you have a heart.